Fairy Floss & Popcorn Cart | JOLLY JACKS JUMPING CASTLES! 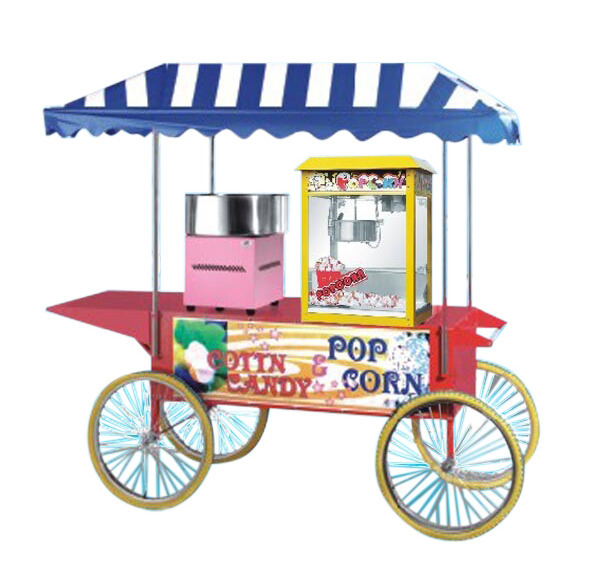 Fairy Floss & Popcorn Cart, whatever the occasion, nothing adds more class, flair and fun than a traditional movie pop corn machine. Add a fairy floss machine and its ideal for all types of birthday parties, movie nights, themed events, corporate functions, and all sorts of events. Our pop corn machines are authentic, high-quality commercial-grade and come complete with their own authentic movie trolley-cart. A whopping 200 serves of each a provided with this product. Perfect for parties or for fundraisers, earning your fete, school, fundraiser plenty of money.